Roofing Construction Website Design | We create website design that power the construction business. Run your roofing, construction business and we’ll take care of running your website. You’ll want a web design expert who understands your needs, and who’s got your back. It’s time to call the web design pros at VISIONEFX. We design websites that generate leads and results for your business. 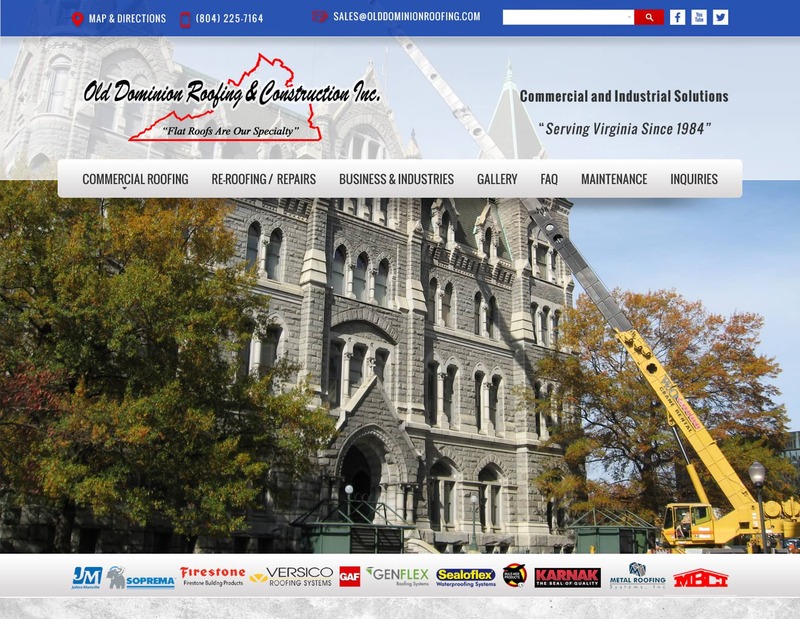 This recent web designers richmond project for Dominion Roofing provides a competitive website presence in a competitive space. See the ‘View Our Design Process‘ link below and browse our creative approach taken to build you that perfect foundation website design that is tailored to your company message. Call VISONEFX at (757) 619-6456 or email direct to info@visionefx.net.